May 18 – The Argentine Football Association (AFA) has scored a hat-trick of sponsorship deal with Chinese companies. The news is timely boost for AFA, whose dysfunctions where highlighted again by the ‘flirting manual’. 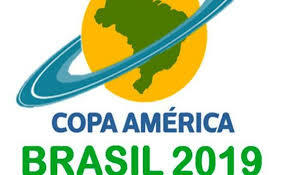 May 8 – The 2019 Copa America in Brazil will feature Japan and Qatar but no teams from North America. 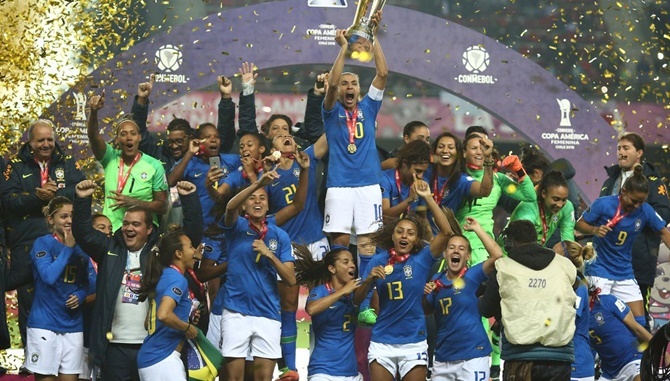 April 24 – Brazil’s women continued their dominance of the Copa America with their seventh win in the eighth edition of the CONMEBOL tournament. Brazil’s matches were streamed live on Twitter in a first for a national team tournament. 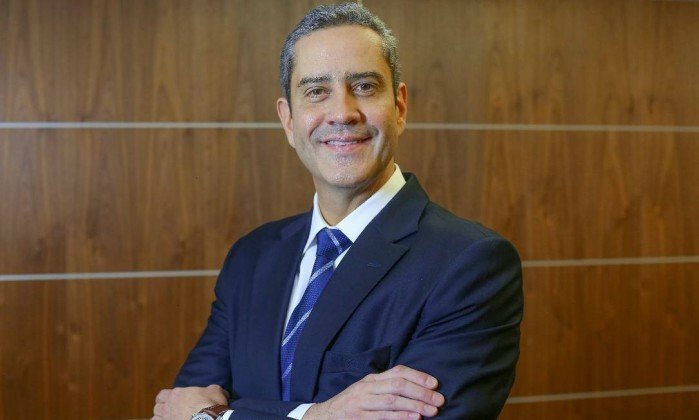 April 18 – Rogerio Caboclo has been elected as the new president of the Brazilian Football Confederation CBF. He succeeds Marco Polo Del Nero, who remains suspended by FIFA and under investigation in the United States. 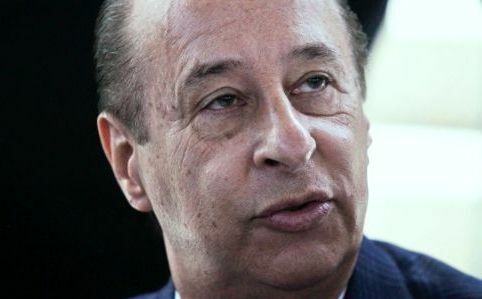 April 11 – The future president of the CBF, Rogerio Caboclo, has summoned presidents of Brazil’s state federations to fill four of the confederation’s vice-president roles in an early move to cement his political permanence. 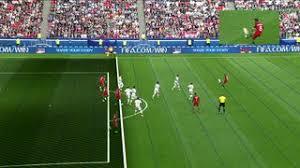 March 9 – Brazilian federal representative Edson Moreira has designed a bill that would make the use of the video referee compulsory in Brazil’s professional competitions. In February, Brazil’s elite clubs voted against the use of VAR. 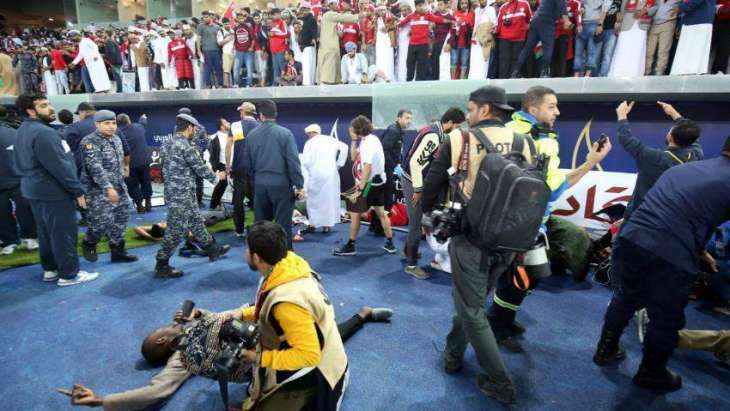 March 8 – At least 30 Brazilian fans were injured at a local derby between Sport and Santa Cruz on Wednesday after supporters were pepper sprayed by police, local media reported. 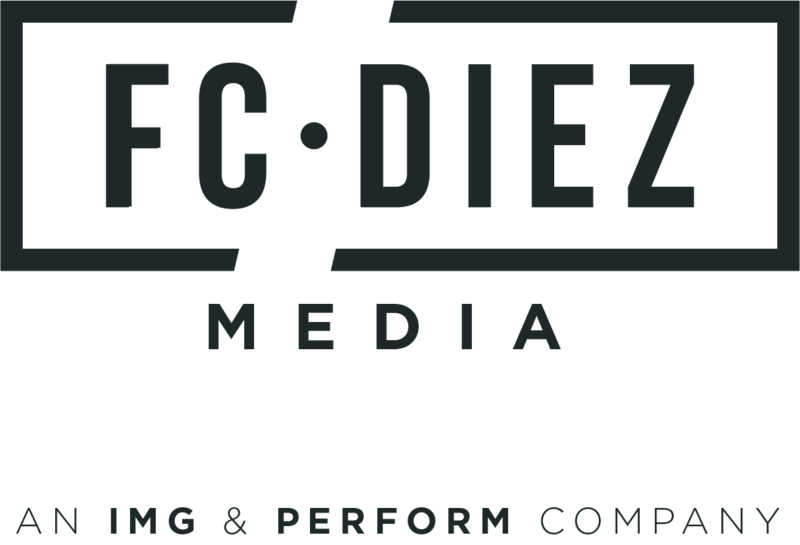 March 1 – IMG and Perform have named their South American joint marketing agency venture FC Diez Media. The new company will advise CONMEBOL on their commercial rights for club competitions from 2019-22. 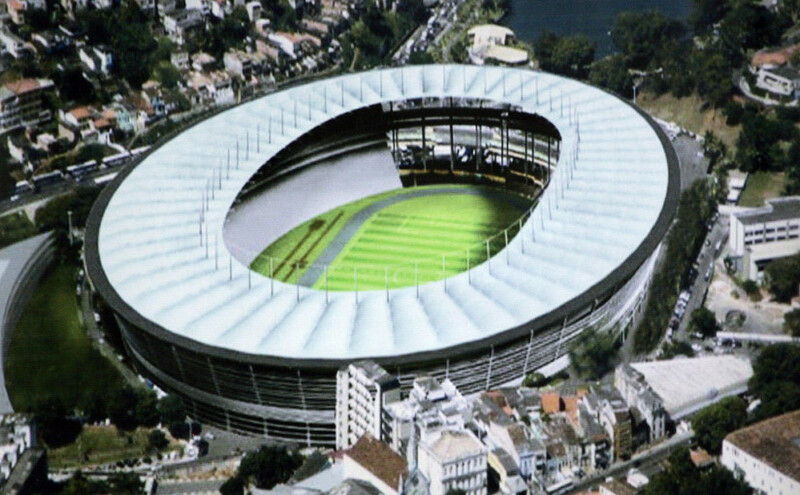 March 1 – Brazil’s Federal Police are claiming the price tag of Salvador’s Fonte Nova stadium, a 2014 World Cup venue, was inflated by as much as $130 million. Seven arrest warrants have been issued in connection to the investigation, including for the former governor of Bahia Jaques Wagner. 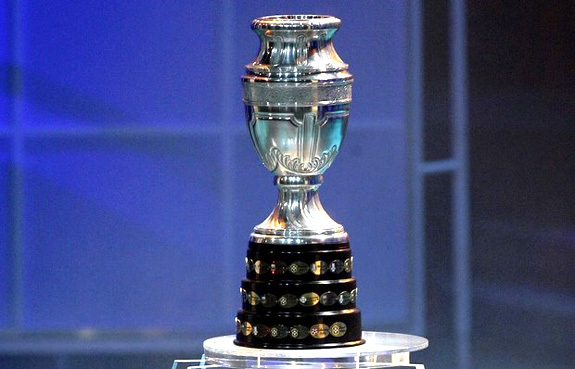 February 23 – The South American Football Federation (CONMEBOL) is set to tender television and commercial rights of the 2019 Copa América tournament which has been expanded by six teams to include invited nations from CONCACAF and UEFA. 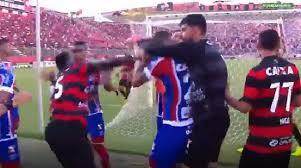 February 19 – A Brazilian derby between Vitoria and Bahia was abandoned with 11 minutes remaining on Sunday after the hosts had six players sent off in a game marked by a mass brawl. 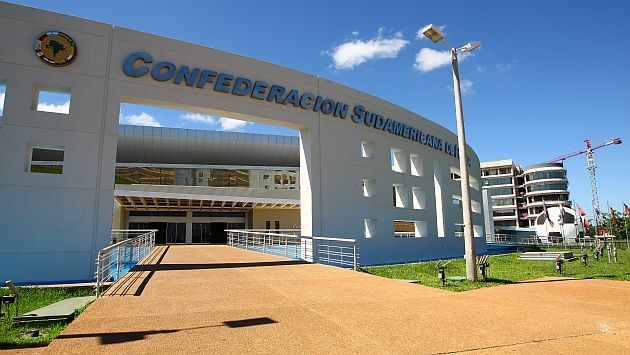 February 16 – Conmebol is reportedly considering moving its headquarters out of Paraguay, where it has resided since 1986, after losing a $10 million lawsuit. 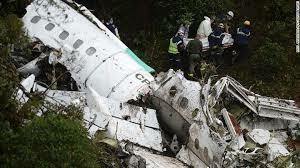 February 14 – Uruguayan club Nacional have been fined $80,000 and their fans banned for three away games for taunting Brazilian rivals Chapecoense about the plane crash which killed 71 people including 19 Chapecoense players and staff in November 2016. February 2 – Fans of Uruguay’s Nacional club have been condemned as “sick” for taunting Brazilian rivals Chapecoense about the plane crash which killed 71 people including 19 Chapecoense players and staff in November 2016. January 23 – Marco Polo del Nero has maintained his total innocence of bribery and corruption laid against him by the United States Justice Department’s FIFAGate inquiry in a cross examination by FIFA’s ethics investigation.